A wave of excitement passed through the Outlander community earlier this year when Outlander Kitchen’s Theresa Carle-Sanders revealed a selection of her recipe’s would be published as a cookbook and as the release date draws closer we now have our first look at the cover. 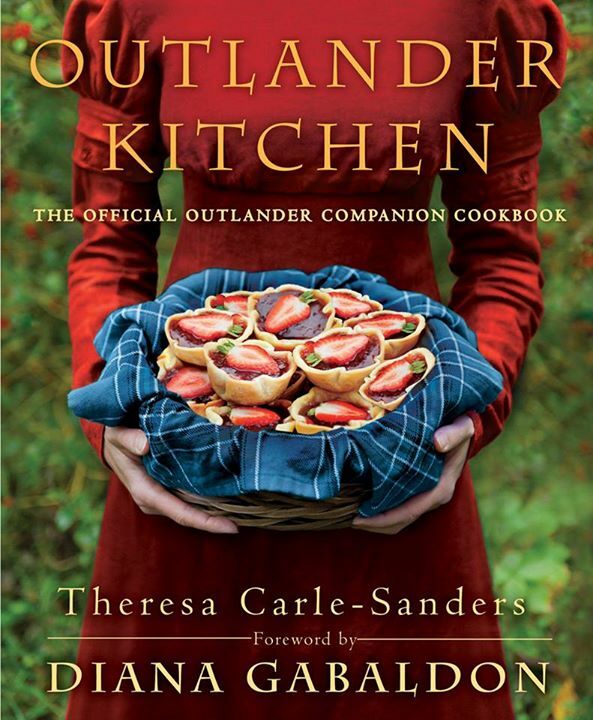 From professional chef, food writer, and die-hard Outlander fan Theresa Carle-Sanders comes the official cookbook inspired by Diana Gabaldon’s New York Times bestselling series! Featuring authentic dishes alongside modern interpretations—such as Claire’s first lonely bowl of Mrs. Fitz’s Porridge at Castle Leoch and Roast Beef for a Wedding Feast after her hasty marriage to valiant Highlander Jamie Fraser—these doable, delicious recipes make for a mouthwatering taste of this unforgettable world. Outlander Kitchen: The Official Outlander Companion Cookbook, which will also feature a foreword from author Diana Gabaldon, is set for release on June 14, 2016. Pre-orders are now available through Amazon and Barnes & Noble. This entry was posted in Book News and tagged cookbook, Diana Gabaldon, Outlander Kitchen, Theresa Carle-Sanders by Stephanie Bertone. Bookmark the permalink.